AllRecipes - Recipes by category or keyword, recipies of the day, seasonal recipes, top ten recipes, and more. AllRecipes: Vegetarian - Vegetarian recipes and cooking advice. Asia Society: Food and Recipies - Asian recipes, cooking schools, food links, and features presented by the Asia Society. Site also draws upon the resources of The Encyclopedia of Asian Food. At Home with Patrica Wells - Cookbook author and teacher Patricia Wells divides her time between Paris and Provence. Also see Blog. Baking Pizza: Top or Bottom Oven Rack? Barefoot Contessa - Recipes from Ina Garten's Barefoot Contessa TV shows aired this week are available here under TV This Week. Otherwise, almost all her recipes are available in her Barefoot Contessa Cookbooks. To find which book a particular recipe is in, look in the Cookbook Index. Biscotti - Wikipedia backgrounder. Known also as cantuccini, biscotti are Italian almond biscuits (cookies) that originated in the city of Prato. They are twice-baked, oblong-shaped, dry, crunchy, and dipped in a drink, traditionally Vin Santo. Blue Apron - Delivers to you all the ingredients you need to make a delicious meal in exactly the right proportions. Bottled Water Web - Extensive information about bottled water. Brogdale - Brogdale is home to the National Fruit Collections, the largest collection of varieties of fruit trees and plants in the world. Over 2,300 different varieties of apple, 550 of pear, 350 of plum, 220 of cherry, 320 varieties of bush fruits, as well as smaller collections of nuts & vines are grown here in 150 acres of beautiful orchards. Spectacular in blossom time, the orchards are also at their best in late summer & autumn, when the ripe fruit is ready for picking. California Caviar - Offers domestic and imported caviars, seafood products and gourmet foods that are substainably selected, responsibly packaged and eco-friendly by nature. Camping Food Tips - What to eat, camping boxes, favorite recipes. Cast Iron Grill Pans - Advice for cooking with cast iron grill pans. 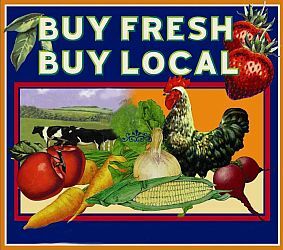 Center for Informed Food Choices - Advocates for a diet based on whole, unprocessed, local, organically grown plant foods. Chaine des Rotisseurs - Food and wine society promoting culinary arts. Cheese Web, The (Juliet Harbutt) - Information about cheese, cheesemakers, cheese sellers and cheese events around the world. Chef Ann Cooper - The Renegade Lunch Lady, whose life's work is to transform how we feed our children in school each day, from highly processed to highly nourishing food - one school lunch at a time. Chef2Chef - Resources for chefs: jobs, foodservice, culinary schools, hospitality, recipes, cooking, food, wine, restaurant news, forums, and more. ChefMD - How to eat healthy: cooking for diet, diabetes, a healthy heart, and more. Free easy healthy recipes, health articles, food TV clips and food as medicine recipe tips, secrets and research. ChefNet - Forum providing an opportunity to share information with foodservice professionals across the globe. ChefShop - Find recipes, tips, ingredients, community, and information on how best to select, purchase and use basic ingredients. Chez Panisse Foundation - Committed to transforming public education by using food traditions and rituals to teach, nurture, and empower young people. Dandelion Chocolate - Chocolate factory and store. Fog City News: Chocolates - Premium chocolate bars from around the world. Ghirardelli - Manufacturer and marketer of premium chocolate products. Green and Black's - Chocolate bars. Michel Cluizel - Manufacturing high-quality chocolate in the French town of Damville in Normandy since 1948. Recchiuti Confections - Fine chocolates and chocolate gifts. Richart - French gourmet chocolates. TCHO - Chocolate, based on the pure flavors of cacao. XOX Truffles - Don't miss this tiny coffee bar and chocolaterie, where you can purchase any of an interesting selection of petite handmade truffles of excellent quality. Truffles include liqueured varieties, those without alcohol and even vegan soy flavors. Chow - Recipes, instruction, news, entertainment, discussion, and advice. Chowhound - Food-lovers worldwide gather here to swap expert tips about restaurants, foods, stores, and bars, as well as cooking, wine, beer, cookware, and more. Chow - Favorite products, gadgets, restaurants, bars, wine, beer, and food websites and blogs. City Cook, The - The ultimate guide for busy urban home cooks. Offering the best of Manhattan, New York small home and/or apartment fresh food, cooking tools, shopping tips, gourmet fast recipes, and neighborhood merchant grocery listings. Clifford A. Wright - Cook and author specializing in Italy and the Mediterranean. Community Alliance with Family Farmers (CAFF) - Building a movement of rural and urban people to foster family-scale agriculture that cares for the land, sustains local economies and promotes social justice. 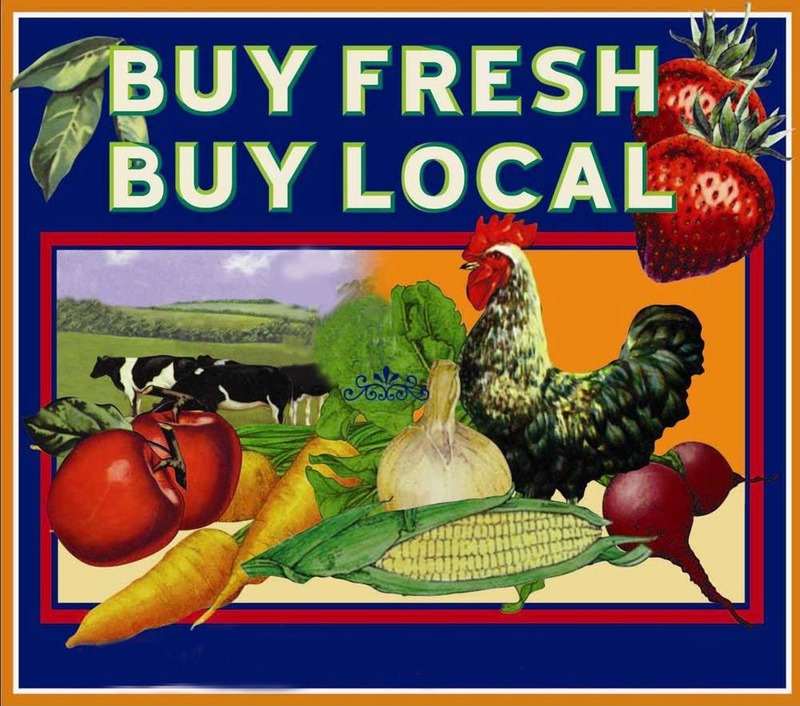 Find farm-fresh lettuce, juicy oranges or locally made bread in your area by searching our online local food guide - brought to you by the Buy Fresh, Buy Local Campaign. America's Test Kitchen - Recipes that work, TV show episodes, kitchen equipment reviews, taste tests, how to cook and cooking videos. Cook's Country - Recipes, equipment reviews, kitchen shortcuts, blind taste tests for supermarket ingredients. Cook's Illustrated Recipe Resource - Recipes, cooking equipment, cooking magazine, taste tests. Cooking School - Members have access to more than 100 online courses-take as many as you want, and at your own pace. Cook's Thesaurus - A cooking encyclopedia that covers thousands of ingredients and kitchen tools. Entries include pictures, descriptions, synonyms, pronunciations, and suggested substitutions. Cooking - Cookware, accessories and specialty foods, recipes, menus and tips from today's top chefs. Cooking and Recipe Apps for Your iPhone, iPad or iOS Device - Provided by Karen Tumbokon. Cooking Glossary - Cooking terms. Cooks - Recipes and recipe research. Cookware Buying Guide - Provided by Williams-Sonoma. Cow Meat Chart, Anatomy & Diagram of Cow Parts - Image of dairy cow anatomy and beef parts for learning how to cut and carve cow meat. Crockpot - Crockpot recipes, accessories, tips. Cuisinart - Cuisinart's kitchen products, including the Cuisinart Elite Collection 14-Cup Food Processor. Cuisine - New Zealand food magazine - knowledgeable and obsessed with new tastes, new ingredients and new wine styles. Culinary Institute of America - America's most famous food and wine school. Culturekiosque: CyberChef Magazine - Tips, recipes, cookbook reviews, interviews with chefs. Domestic Man, The (Russ Crandall) - Gluten-free & Paleo-friendly recipes, inspired by traditional & international cuisines. New recipes every Tuesday. Eat Local Challenge - A group blog written by authors who are interested in the benefits of eating food grown and produced in their local foodshed. Eat Well Guide - Find wholesome, fresh, sustainable food in the US and Canada. Edible Monument: The Art of Food for Festivals - Ornate edible architecture and sculptures were often created for celebrations in the cities and courts of early modern Europe. The Edible Monument, an exhibition of the ephemeral art created for these festivals, is drawn from sixteenth to nineteenth century books and prints in the Getty Research Institute's Special Collections. Emile Henry - Fine quality ceramic ovenware, gourmet cooking products, and bakeware products. Empty Bowl - Devoted to serving the cereal eating community. Epicurious - Food, drink, recipes, cooking tips, shopping. Every Last Recipe - Comprehensive recipe search engine with over 1.9 million recipes indexed. Feeding America: The Historic American Cookbook Project - The Michigan State University Library and the MSU Museum are partnering to create an online collection of the most important and influential 19th and early 20th century American cookbooks. Food52- Helping people become better, smarter, happier cooks. Food and Drink - Video tutorials from VideoJug. Food Arts - Authoritative coverage of trends and industry news that includes the latest and hottest restaurant openings, business-building tips from colleagues, menu and food trends, how-to culinary demos, tabletop and equipment innovations, marketing ideas, and recipes galore. Published 10 times a year, Food Arts serves the informational needs of the entire full-service segment of the restaurant/hotel industry. Food Museum - One stop source for food exhibits, news/issues, resources, food history, answers to your food questions, and book reviews. Food Network - Recipe search, TV shows and recipes, cookbooks, celebrity chefs, world cuisine, terms, tips, and ingredients and more. Food Reference Website - Articles on food history and usage; food facts and trivia; food quotes; who's who in food; cooking tips; culinary humor, poems & crossword puzzles, Culinary Calendar reciipes. Food Routes - Reintroducing Americans to their food - the seeds it grows from, the farmers who produce it, and the routes that carry it from the fields to our tables. Food Spring - View thousands of hard-to-find gourmet products, previously found only at the most selective specialty food stores. The National Association for the Specialty Food Trade has created this simple way to discover specialty foods, ranging from smoked salmon and herb-infused olive oils to dessert sauces and gift items. Food52 - Online community cookbook and curated recipe database. foodgeeks - Recipes and resources to help ease the cooking process and conversion charts. FoodNet - A place where food professionals meet with their peers, gather industry info and news, and learn from other specialists. Registration required. Fresh Loaf, The - News and information for amateur bakers and artisan bread enthusiasts. Gambero Rosso - Wine, travel, food. Game from Field to Table - Assists you in making full use of wild game from the time you see it until it reaches the table. Gernot Katzer's Spice Pages - Solid information on 117 different spice plants. Good Eggs - Brings local groceries to you. Order online from the best local farmers and foodmakers, and your groceries are picked and prepped to order. Good Food on a Tight Budget - A shopping guide from the Environmental Working Group. Gourmet Connection Network - Gourmet food, nutrition, recipes, cooking, shopping. Gourmet World - Catering services, cooking schools, dining, chefs around the world, festivals, contests and evets, nutrition, recipes, gourmet shops. GourmetSpot - Food information portal, providing food and beverage links. Great Chefs - An extension of the popular TV series. Here you can find your favorite cookbooks, videos, DVDs, CDs, cassettes, and apparel. Great Food - Showcasing the most famous television chefs in the world, exotic location shooting and irresistible food. Gumbo Pages, The - Chuck Taggert's musical, culinary and cultural information source for New Orleans. GVCI: Virtual Group of Italian Chefs - This site is the voice of a network of chefs, restaurateurs and culinary professionals working in the Italian cuisine industry outside Italy. They belong to the moderated internet Forum (in Italian) of GVCI, Virtual Group of Italian Chefs, which has over 2200 associates working in 70 countries in the world. Today this site has become a fundamental point of reference as well as for restaurant managers, sommeliers, food and beverage managers, other hospitality managers, food and wine manufacturers, importers, distributors, retailers and media people, and all those who have an involvement with Italian food and wine all around the world. Hancock Gourmet Lobster Company - Lobster and seafood specialties from the coast of Maine. High5Kitchen - Health foodie and ten year ovarian cancer survivor Chris Smith shares her passion for whole foods. Home Economics Archive - A core electronic collection of books and journals in Home Economics and related disciplines. Published between 1850 and 1950, these titles were selected by teams of scholars for the historical importance they hold. Honey Locator - The National Honey Board's online guide to find suppliers for local and specific floral varieties of honeys. Household Words: Women Write from and for The Kitchen - An exhibition of the Aresty Collection of Rare Books on the Culinary Arts. Its focus is on women's writing and use of cookery and household books. How to Eat a Lobster - Talia Bigelow, a lobster biologist, shows you how to get every last piece of succulent meat out of a lobster. She also shares some interesting insights into these fascinating creatures that may answer some of the questions you've always wanted to know the answers to. How to Eat Fish on the Bone - Follow these steps to eat fish on the bone. Also see this video. How to Cook Dried Beans - By Alex Delany. How to Organize Your Fridge to Keep Food Fresher, Longer (and Cut Your Energy Bill) - By Maria Janowiak. How to Store Cheese - How long can you keep cheese in your refrigerator? Why should you keep your cheese in the vegetable crisper drawer? Why shouldn't you wrap cheese in plastic before putting it in the refrigerator? How long in advance should you remove cheese before serving it? How to Store Bread (WikiHow) - Also Cook's Illustrated, The Kitchn, and Luxist: "To minimize retrogradation, store bread at room temperature-for up to two days-in a container that minimizes moisture loss (tightly wrapped in foil or in a zipper-lock bag). After two days, wrap bread tightly wrapped in foil, place in a freezer bag, and freeze. Thaw the slices at room temperature, or in the microwave or oven. (For a frozen full- or half-loaf, we recommend heating the bread, still wrapped in foil, in a 450-degree oven for 10 to 15 minutes, then crisping it by removing the foil and returning it to the oven for a minute or two.) If you find yourself with stale bread, wrap it in plastic wrap and reheat briefly in a microwave, but be prepared to use it almost immediately as retrogradation will set in again fairly quickly. Finally, only refrigerate bread that you're intending to reheat (e.g., toast or grill) later on." How to Store Food in the Refrigerator - Decay, mold, and odors can spread among foods in the refrigerator. Follow these tips to keep foods―including leftovers―fresher longer and reduce the risk of contamination. International Gourmet - Recipes, cookware and appliance information, a cooking glossary, and what's new in food products. James Beard Foundation - Fosters the appreciation and development of gastronomy by preserving and promulgating our culinary heritage, and by recognizing and promoting excellence in all aspects of the culinary arts. Jacques Pepin - An internationally recognized French chef, television personality, and author working in the United States. Also see official site. Julia Child - PBS master chef series with Julia Child. Kashrut - Kosher information source on the Internet. Keith Famie's Adventures - Globe trotting chef brings flavor and adventure to the cyber-world kitchen. Kitchen Link - Master index to over 10,000 food and cooking links on the Net. America's Test Kitchen from Cook's Illustrated - Kitchen experts offers cooking tips, techniques, product evaluations and advice. The team teaches and entertains while determining the absolute best methods for preparing delicious and easy-to-follow recipes. Host: Chris Kimball. Burt Wolf: What We Eat - Burt Wolf travels through the Caribbean, Latin America, Europe, Asia and the US to uncover how the migrations of people, plants and animals that started 1492-1502 continues to impact the culture, economics and the diet of the world today. Check, Please! Bay Area - Every week, Check, Please! Bay Area features three guests who are local diners, not professional restaurant critics. Each guest chooses their favorite restaurant and the other two guests visit that restaurant under total anonymity - the restaurants are not notified that Check, Please!reviewers" are dining there. After trying each other's restaurant recommendations, the guests come on the show to discuss, dispute, and celebrate their dining experiences. The panel of diners is moderated by host Leslie Sbrocco, an award-winning author, wine connoisseur, newspaper columnist, and speaker. At the end of the show, each restaurant is rated based on the panelists' comments. ChefClass - This series takes viewers inside one of the country's most prestigious cooking schools, The International Culinary Schoolsw at the Art Institutes, which number around 30 across the country. In each episode, the school's top chef-instructors focus on teaching a critical cooking technique such as roasting, grilling, braising and sauteing through the demonstration of mouth-watering recipes. Ciao Italia - Mary Ann Esposito, host of the longest-running cooking show on public television, travels around the United States and Rome, Italy in search of recipes that can be prepared in thirty-minutes or less for a busy audience that has time to enjoy great Italian food but doesn' t always have time to prepare it "the old way." Everyday Food - This series brings to life the magazine of the same name, featuring an ensemble cast of the magazine's food editors, test cooks and recipe developers. For an audience of consumers who are short on time and in need of healthy, everyday cooking solutions, the series offers quick, nutritious and delicious recipes using easy-to-find supermarket ingredients. Hosts are Allison "Allie" Lewis, Sarah Carey, John Barricelli, Margot Olshan and Lucinda Scala Quinn. Food - Recipes, cooking, and nutritional information. Good Fish Guide - Consumer guide to sustainable seafood. In Julia's Kitchen with Master Chefs - Inviting master chefs (literally) into her kitchen, Julia Child cooks with the pros, detailing their techniques and dishes for the home cook. Jacques Pepin: Fast Food My Way - Designed to appeal to accomplished chefs and amateurs alike. With his signature charm, Pepin presents quick, easy and delicious recipes for today's busy lifestyle. Each episode features tasty, organically grown food that is both healthy and convenient to prepare. Pepin teaches viewers the best of everyday cooking, with dishes that translate from simple dinners to menus for entertaining. Jacques Pepin: More Fast Food My Way - The culinary icon returns with a new line-up of healthy, home-cooked meals. This season, Jacques creates nearly 100 delicious recipes for every occasion -- from a light snack to an elegant dinner -- using readily available fresh foods, supermarket staples and simple techniques. Taking inspiration from around the world, his lamb stew, paella and Tibetan bread incorporate Asian, Latin American and diverse European influences, including his classic French background. Each episode contains four or more dishes, including minute-long recipes for croque monsieur tidbits, an instant red-pepper dip or butter bean canapes, along with Jacques' valuable tips and techniques. Jacques Pepin: The Complete Pepin - Jacques Pepin, one of the world's most renowned chefs, returns to public television with The Complete Pepin, a new twist on his 1997 hit series, Jacques Pepin's Cooking Techniques. These thirteen half-hour episodes include his time-tested, classic teachings with brand new opens and closes from the culinary legend. To paraphrase Jacques Pepin, once you acquire essential cooking skills, your culinary repertoire is limited only by your imagination. Throughout the series, your viewers will learn the basics of everything from choosing and maintaining essential cooking equipment, to easy and fun ways to embellish your dishes. Joanne Weir's Cooking Class - Weir's actual home kitchen becomes the classroom as she works side-by-side with a real-world student for a hands-on cooking lesson, preparing a wide variety of Weir's latest Mediterranean-inspired recipes, using the freshest and most seasonal ingredients available. As she shares her special cooking techniques, tips and tricks, and culinary fundamentals, weir guides students and viewers through solutions to their real-life cooking dilemmas - over-whipped egg whites, gummy risotto, and broken emulsions. Also: expert wine tips from sommelier Eugenio Jardim. Lidia's Family Table - Lidia Bastianich offers delicious master recipes for everyday Italian-style feasting and imaginative ideas for variations and improvisations. From comfort food to haute cuisine, Lidia fuses recipes from both past and present into creative Mediterranean dishes, making them uniquely her own. Made In Spain - A series exploring the culinary and cultural riches of Spain. Hosted by chef Jose Andres, it highlights the extraordinary cooking traditions of a country whose food and wine is capturing the worlds' imagination. In every episode, Andres brings the exciting flavors of his native Spain to the American audience with easy and informative recipes created in his Washington, D.C. Each cooking segment is woven into a gastronomic and cultural tour of one of Spain's 17 regions. Martin Yan's China - A fascinating trek through the sights, sounds and tastes of China as Martin travels through this vast country to explore the 4 schools of Chinese cuisine: the Mongol-inspired flavors of the North, the Cantonese seafood of the South, the fiery Szechuan meals of the West and the delicious Shanghai specialties of the East. He journeys to upscale restaurants, ancient streets, marketplaces, factories and nature preserves, as well as historic destinations in this captivating land, discovering the secrets and attractions of one of the world's oldest countries. Martin Yan's Chinatowns - A culinary kaleidoscope bringing the sights, sounds and flavors of Chinatowns around the world into viewers' homes. Martin visits private homes and exotic markets, then demonstrates the finer points of preparing his favorite Chinese foods. Primal Grill with Steven Raichlen - Steven Raichlen, creator of the popular public television series, Barbecue University and author of the award-winning, best-selling Barbecue Bible and How to Grill is back with a sizzling new show designed to help viewers take their grilling to the next level: Primal Grill with Steven Raichlen. The series features new recipes like coffee-crusted chicken, Chinese five-spice beef ribs and a grill-top ginger mint lobster roast, sizzling new grills, from state-of-the-art infrared rotisseries to ceramic kamado cookers, wood-burning grills, and industrial-strength smokers. Simply Ming - Chef Ming Tsai, experienced in classical French, new American and Pan-Asian cuisine, provides a repertoire of very simple recipes which viewers can integrate into numerous dishes. Each of his flavor-packed sauces, salsas, pastes, rubs, stocks, syrups and doughs consists of fewer than seven ingredients, and each requires no more than 20 minutes to prepare. January Magazine: Cookbooks - Cookbook reviews and interviews with authors. Joyofbaking - A baking resource. Julia Child: Cooking with Master Chefs - Julia Child visits sixteen nationally acclaimed master chefs in their own kitchens. Each chef demonstrates distinct techniques, regional recipes, and culinary tips which guide home cooks through their favorite recipes. Expertly preparing each dish and teaching with passion along the way, the master chefs offer the viewer a unique and inspirational learning experience. Search and explore PBS video segments from each chef's TV episode or watch the whole show online. Kashrut - Kosher information resource. Kitchn, The - For those who care about the quality of their food, and how it affects the health of themselves and the planet. It is also for those who want to cook more, but are shy in the kitchen. It's a place to dive in deep, and embrace the joy of one of our basic needs: food. Lobster - Wikipedia article. Also see the Maine Lobster Council website. Local Harvest - Helps you connect with local farmers, CSAs, and farmers markets. Lodge - Cast iron cookware. Marin Sun Farms - Located in the rolling grasslands of the Point Reyes National Seashore in Northern California. Committed to producing local, pasture based food for our Bay Area community with the aspiration of building a sustainable food model. Raises 100% grass-fed beef, lamb, goat, pasture raised chickens, pork and eggs. Martha Stewart: Food - Recipes. Master These Oven Basics to Expand Your Cooking Repertoire - From Lifehacker. Mastering Your Oven - By William Widmaier. McCormick - Spices. Also, recipes. Mondo Fruitcake - Fruitcake reviews. Munchery - Chefs from top restaurant kitchens put dinner on your table. Choose from main dishes, sides, salads, desserts and drinks. Menus change daily. Murray's Cheese - New York's oldest and best cheese shop since 1940. Hundreds of imported, local and artisanal cheeses and specialty foods available for mail order. Also see Murray's Cheese Blog. Mushrooms: The Mushroom Council - In-depth information on several varieties of mushrooms, including Criminis and White mushrooms, the ever-popular Portabellas and Shiitakes, and the exotic Morels, Enokis, Maitakes, Oyster and Beech mushrooms. Napa Valley Naturals - Certified organic and all natural extra virgin olive oils, expeller pressed cooking oils, italian balsamic vinegars, and barrel aged artisan vinegars. National Association for the Specialty Food Trade (NASFT) - Trade association established in 1952 to foster trade, commerce and interest in the specialty food industry. NASFT is an international organization composed of domestic and foreign manufacturers, importers, distributors, brokers, retailers, restaurateurs, caterers and others in the specialty foods business. The organization has more than 3,000 current member companies throughout the U.S. and overseas. National Center for Home Food Preservation - Your source for current research-based recommendations for most methods of home food preservation. National Fisheries Institute (Seafood.com) - Provoides seafood recipes and nutritional and health information about seafood. New York Public Library: Menus - The NYPL is transcribing our historical restaurant menus, dish by dish, so that they can be searched by what people were eating back in the day. Also see Dishes and Blog. New York Times: Cooking - Browse years of Times recipes, searching for your favorite ingredients, and watching how-to cooking videos. New York Times: Dining and Wine - NYT coverage of dining and wine. Nordic House - Swedish recipes, food, cookbooks and dictionaries. Olive Oil Source - Olive oil information, facts, presses, trees, growers, producers, hobbyist, supplies. Pantry Basics: Herbs and Spices - Equipping your pantry with basic herbs and spices. Pesto (Wikipedia) - Pesto is a sauce originating in Genoa in the Liguria region of northern Italy (pesto alla genovese). The name is the contracted past participle of pestâ ("to pound, to crush") from the same Latin root as the English word pestle, in reference to the sauce's crushed herbs and garlic. Poilâne - One of Paris's best-loved bakeries. Specialties include apple tarts, butter cookies, and a chewy sourdough loaf cooked in a wood-burning oven. Professional Chef's Association (PCA) - Offers the required education courses to reach your certification goals. Courses are completely online. Also see the PCA Food & Beverage Encyclopedia. Recipe Book Online - Sharing recipes around the world. RecipeLand - Over 25,000 for recipes available through this free service. Reluctant Gourmet - How to cook including recipes, techniques, tips, culinary schools, cookware and more. Robert Lambert - Jams, syrups, chocolates, fruitcakes. Sally's Place - Award-winning culinary site that spans the international food scene. Sardine Recipes - From Cooks.com. Saving Dinner - Recipes. menus and shopping lists. Savor California - Showcase for gourmet foods and beverages from California. Also publishes a newsletter. Seafood Choices Alliance - Seeks to bring ocean conservation to the table by providing the seafood sector - fishermen, chefs and other purveyors - with the information they need to make sound choices about seafood and provide the best options to their customers. Serious Eats - Food, recipes, where to eat, restaurants, cooking, cooking techniques. Shaw Guide to Recreational Cooking Schools - Directory. Slice: The Latest in Pizza - From Serious Eats. Slow Food USA - An educational organization dedicated to stewardship of the land and ecologically sound food production; to the revival of the kitchen and the table as centers of pleasure, culture, and community; to the invigoration and proliferation of regional, seasonal culinary traditions; and to living a slower and more harmonious rhythm of life. Smoothies - Fruit smoothie recipes. Southern Oven - Popular desserts include home-made Caramel Pecan Pie, Sweet Potato Pie, Lemon Chess Pie, Texas Chocolate Cake, Seven-up Cake, and many more. SpiceAdvice - An encyclopedia of spices. Star Chefs - Recipes from chefs and cookbook authors. Sterling Caviar - Born and raised in California, Sterling is one of the only American producers of premium farm-raised sturgeon caviar. Stilton Cheese - Official site to Britain's historic blue cheese. Stonyfield Organic - Organic yogurts, smoothies, soy yogurts, ice cream and milk sold in supermarkets, natural food stores and colleges across the country. Supermarket Guru - Smarter shopping, healthier eating, better living. Sushifaq - Home of alt.food.sushi FAQ. Sustainable Table - Celebrates local sustainable food, educates consumers on food-related issues and works to build community through food. The program is home to the Eat Well Guide, an online directory of sustainable products in the U.S. and Canada, and the critically-acclaimed, award-winning Meatrix movies - The Meatrix, The Meatrix II: Revolting and The Meatrix II½. The Kitchn - Inspiring cooks, nourishing homes. Truth in Olive Oil - Advising consumers about buying and enjoying olive oil, connecting them with skilled oil-makers, celebrating the culture of this storied substance, and calling out fraudulent oils which cheat consumers and undercut honest producers. Twice the Vice - Spirited chocolates. USPastry - The official web site of the U.S. Pastry Alliance. Devoted to the career and art of pastry making. When Should I Use My Oven's Upper, Middle, or Lower Rack? - Answered by Real Simple. Also see this Food52 article. Williams-Sonoma: Recipes - Dinner and drink recipes, cooking and grilling tips, dinner menus. Yan Can Cook - Chinese Master Chef Martin Yan explores Chinese and Asian cooking. Your Secret Element: The Broiler - Tiips on how to use your broiler plus delicious broiler-friendly recipes. Zenobia: Nuts and Seeds - Pistachios, cashews, macadamias, pumpkin seeds, sunflower seeds. This webpage last updated on Monday, January 21, 2019 1:00 PM.